I finally feel safe saying that spring is here to stay (what a ridiculous thing to have to say in May), and with spring comes ramps! 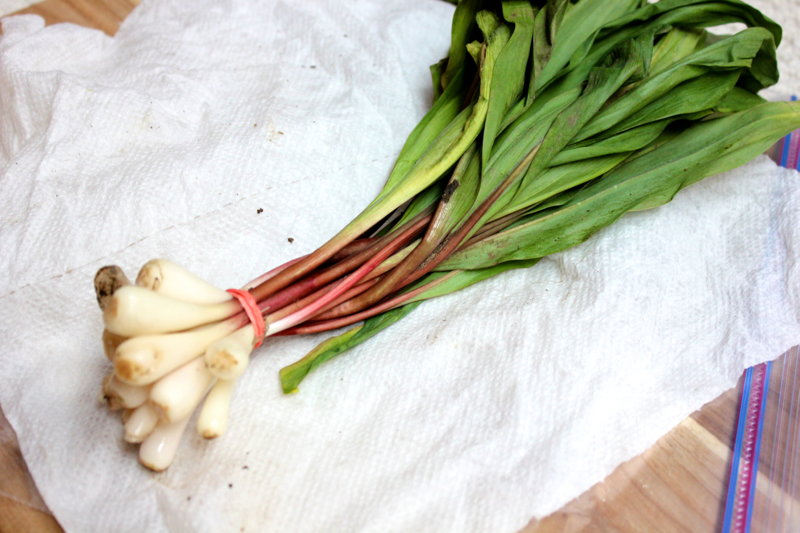 Ramps are a mild, oniony-garlicky plant that is one of the first things to grow once the winter fades away, so it shows up on seasonal menus and at farmers markets this time of year. I met my friend at our local farmers market for lunch last weekend, and we went home with the springiest of hauls- bunches of ramps and rustic bouquets of flowering apple tree branches. Ramps are delicious brushed with olive oil and grilled, but I opted to put them on a pizza this time around. 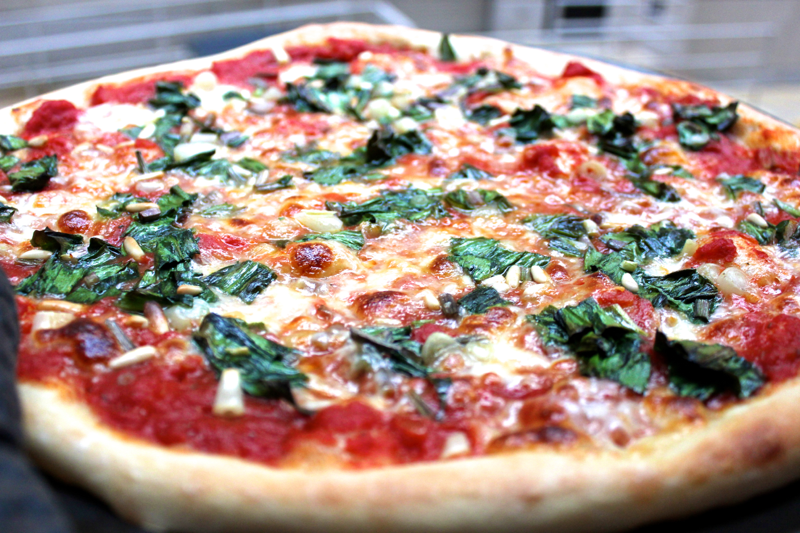 The ramps give the pizza a garlicky aroma, but the flavor is not overpowering at all. 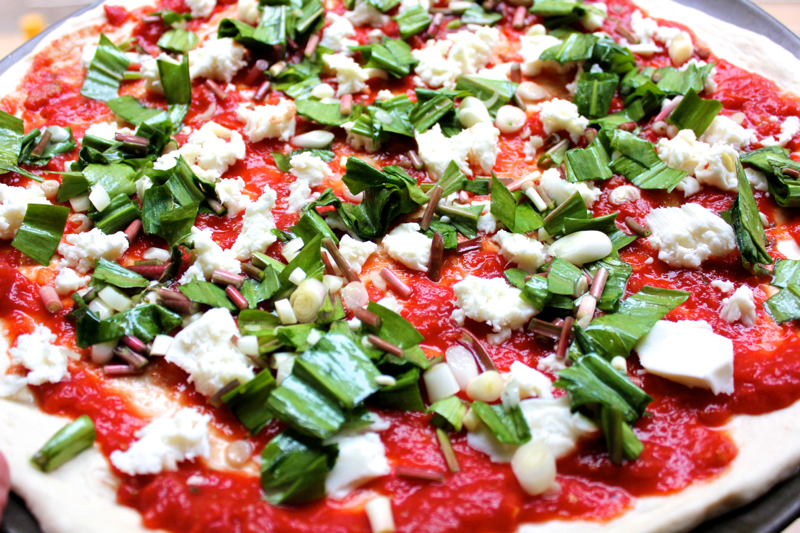 To make this pizza, preheat your oven to 500º F. Cut the roots off of the ramps, and clean them very well. My ramps were really dirty. 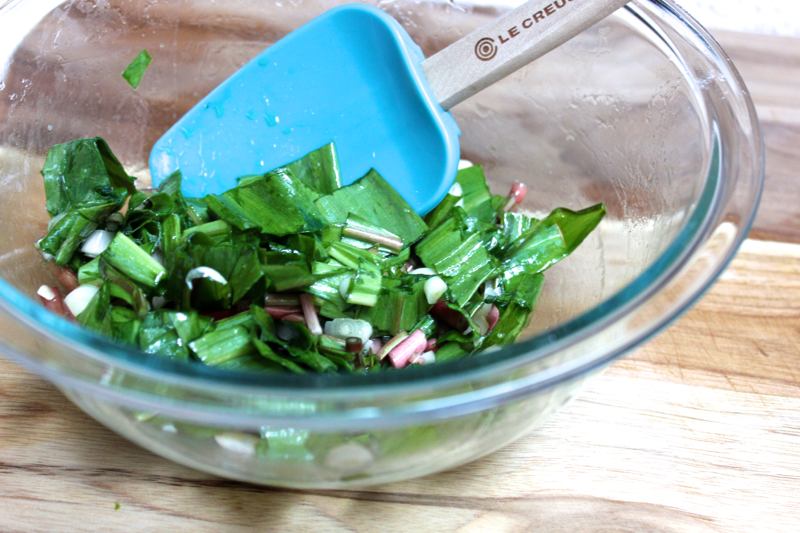 Slice the ramps into bite-sized pieces, and then put them in a bowl. Drizzle the ramps with olive oil and sprinkle them with salt. Toss them until they are evenly coated. The olive oil will protect the ramps from the high heat in the oven. 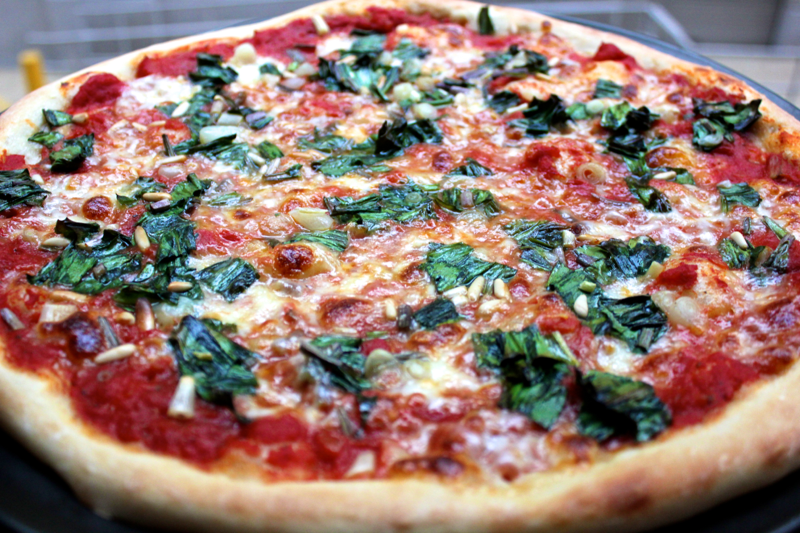 Stretch or roll out your favorite pizza dough, and spread it with marinara sauce. Crumble over some fresh mozzarella cheese, followed by the ramps and pine nuts. I think pieces of semi-crisp bacon would do a lot to make this pizza even more delicious. Bake the pizza until it is golden brown and crispy. In my new apartment’s oven, it took 12-14 minutes to reach the perfect doneness as opposed to the 10 minutes I usually recommend. So let’s go with 10-15 🙂 I hope your spring has been beautiful and delicious.